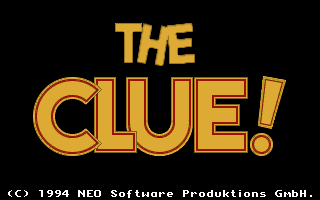 The Clue! (known as Der Clou! 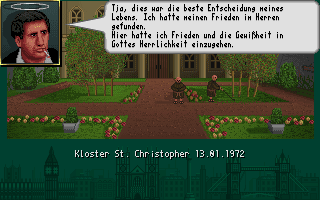 in Austria) is a remake of the 1986 game They Stole a Million. under the guise of The Sting! or Der Clou 2!. 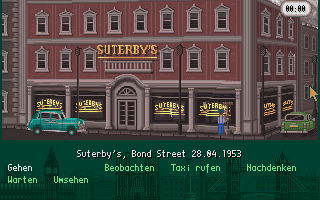 A unique adventure game, assuming the identity of Matt Stuvysant, a burglar who is looking beyond just the clothes on his back and a hotel room on Holland Street, the player is tasked with finding accomplices, scouting potential targets, and plotting plans of burglary, down to the finest detail. Featuring the archetypal point-and-click interface during investigations, engaging in planning a job would alter the controls to include keyboard, using it to control the planned movements of the personnel.